During one of our regular Roundtable discussions in Change School this week, one of our school leaders asked a very interesting question. It’s a question that we’ve all struggled with from time to time, however, I do think the answer becomes a lot clearer if we step back and look at the bigger picture, which tells the story of school reform over the past hundred years and highlights why this time is different. Most importantly, it also gives meaning to the work of those who have gone before. For our purposes, I think that story beings early last century when John Dewey, Maria Montessori, Rudolf Steiner and others started challenging the wisdom of the early traditions of the teacher-centered model of school* and they sought alternatives. Dewey’s thinking challenged many people’s ideas around teaching and learning and the role of schools, but for the most part, his ideas were thought to be largely theoretical and academic, while the small numbers of schools opened by Montessori and Steiner were barely noticed. Unfortunately, nearly all of those schools were outside the public school system, which allowed critics to tag them as exceptions rather than catalysts to scale. ‘free wheelin’” late ‘60s before the call for school reform resurfaced and gained new momentum. These were very different times. These were times of quite radical thinking and education was very much a part of, but it was also a time of protest, the civil-rights movement, ‘flower power’ and anti-war marches. Through this period, education writers such as Paul Goodman, Ivan Illich, and Everett Reimer were gaining prominence, Postman and Weingartner’s Teaching as a Subversive Activity was very popular, while John Holt’s How Children Learn which was first published in 1967, has since gone on to sell more than a million copies. Somehow in the midst of what were quite chaotic times, the “radicalism” of these calls for educational reform distilled into what became known as Open Education and the Open Classroom movement, which evolved from the 1967 release of the Plowden Report in the UK. However the much-heralded shift from traditional to open classrooms didn’t last long, and by the early ‘80s the walls were back up, and most schools had ‘reverted to norm’. On reflection, it was not surprising that the shift to open education was not sustained Rather, it was surprising that it even happened at all. From early on, everyone seemed to have a different interpretation for Open Education, and for most, Open Classrooms simply meant taking down walls and sharing teaching spaces. There was no clarity around the shift in teaching practice that was required, no professional support for such a change, no time for communicating to the broader school community, no process of review to ensure implementation was effective, and above all there was no clear vision for why it was being done or strategies in place to grow it to scale. In short, it was a lesson in how not to change schools. To many, it just seemed like the ‘right thing to do’…a sense of moral purpose that on its own would sustain and grow the movement. However, these were important lessons for a later time, and as our story continued post-Open Ed, more and more educators were exposed to new possibilities for teaching and learning from writers such as Frank Smith, Roland S. Barth, Alfie Kohn and Ted Sizer. The ‘80’s and ‘90’s presented teachers and school leaders with more resources for professional growth, and people like Seymour Sarason and Seymour Papert were challenging the traditional views around the potential for school change. It was their commentary that highlighted the resistance to change that is built into the institution and culture of schools. Most importantly, this is embedded in the ‘regularities” of that culture, the patterns of organization, the rules, and procedures that are mostly unseen and assumed, which not only undermine the basic purposes of educating young people but which must be addressed as a priority in any high bar change process. But this was also a time of great distraction as computers started to proliferate in schools, and while an increasing number of school leaders were becoming more aware of the need to explore school change, many were only too happy to see computers as a proxy for the change they were seeking. And the added distraction of 21st Century learning simply prolonged the agony. So sadly this was also a time when the story repeats itself, and just as taking down walls for open classrooms wasn’t preceded by any commitment to new practices and a shift in teaching and learning, nor was it when computers finally made their way into the hands of students. Old practice, bigger classrooms; old practice, new medium. None of the necessary fundamentals for school change. Time moves on and we are at the start of a new millennium, the volume and number of school critics keeps rising and rather than responding by exploring new models of school at that time, US politicians decide that the “pig will get fatter, if we weigh it more often,” and so they introduce No Child Left Behind. This political initiative set the momentum for school change back by at least a decade, however. But finally, as our story enters the twenty-teens, it all starts to take a turn for the better. High stakes tests have failed to deliver on their promise, as vague and ill-defined as that was, and people are looking for better options for their young people. For the first time, educators are being challenged about their beliefs around learning, and it’s a time when the modern context in which our schools operate is demanding new ideas, new directions and new leadership and vision. So what we find in 2017, is a ‘perfect storm’ for serious high-bar change in schools. This time is different because there is evidence we have learned from our past. It might have taken longer than many may have wished for, but there is now a serious body of knowledge, insight, and ideas that will guide us from here. This time is different because we now do finally have a clear idea of the conditions required for high bar school change, and the voices for change are not isolated but part of a broader public dialogue. And most importantly, this time is different because we are now sharply focused on addressing the gap between what we do in schools and what we believe about how our kids learn most deeply and powerfully. Our focus has shifted from teaching to learning, and thankfully as the bar is being lifted, we are now looking for bolder and more ambitious use of the technologies in ways that ensure learners have agency over how and what they want to learn, when they want to learn, and who they want to learn with. Above all, we now see that we are all learners. This time it is different. 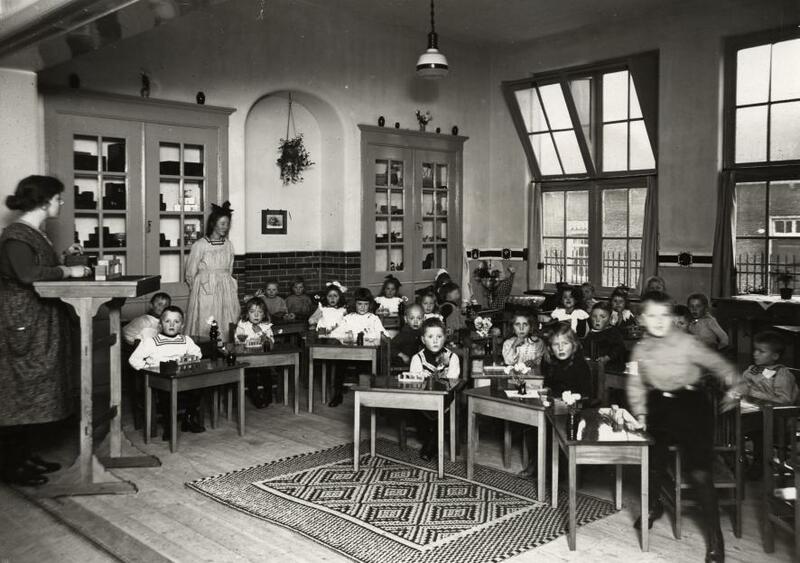 *For a closer look at the early history of schooling in America, our colleague Audrey Watters shares an interesting perspective here.